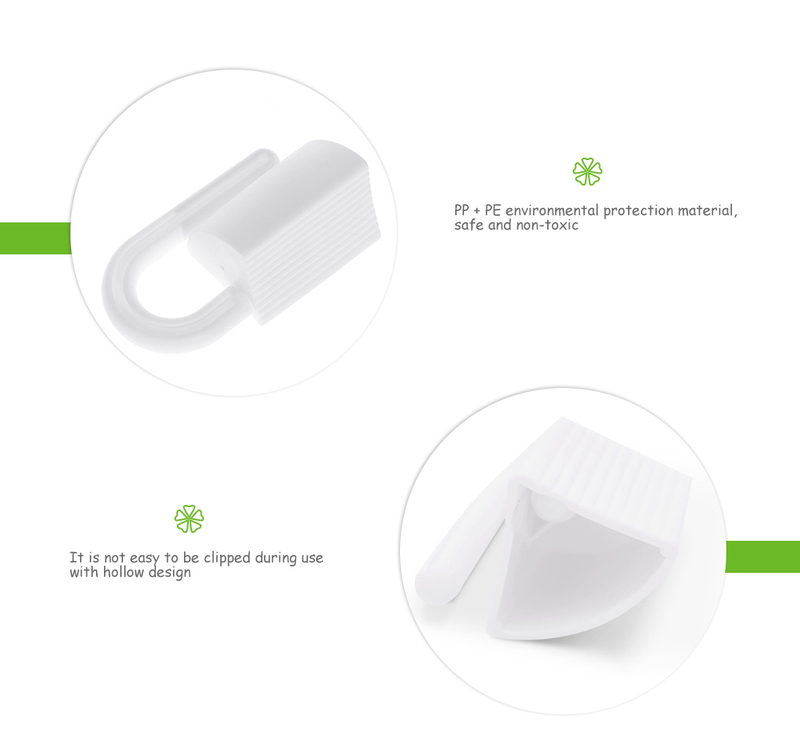 - PP + PE environmental protection material, safe and non-toxic. - Partial lock design enhances the elasticity, durable to use. - Convenient to store without affecting the nice appearance of furniture. 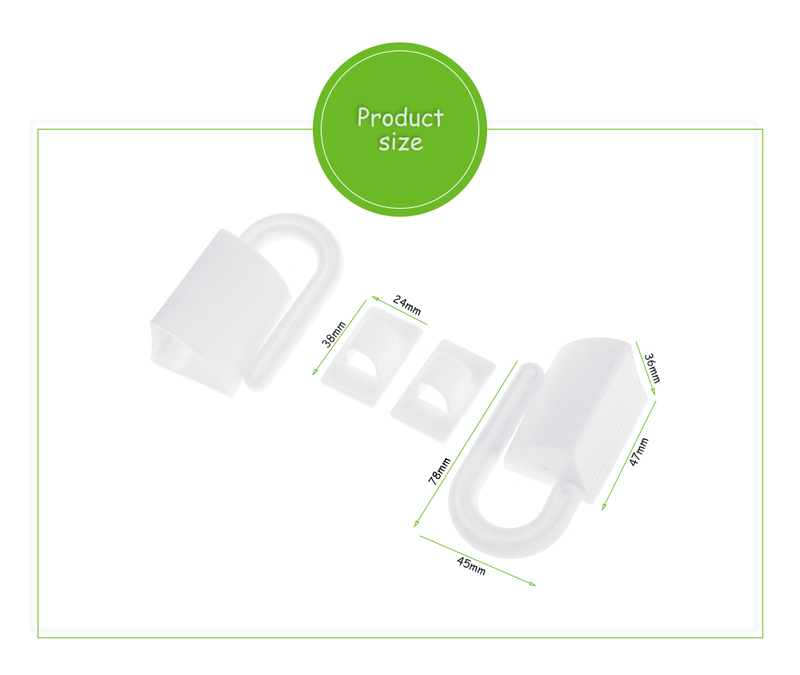 - The weight of a single lock is 22g, lightweight and mini size. Remove the finger protection locks hang buckle. Place the children safety lock between the door frame and the door on the hinge, stick the hanging buckle on the back of the door. Hang the lock on the buckle while you do not need to use the lock. · This product can not take place of adults to take care of the children. · Do not touch the sticker by hand or double use. 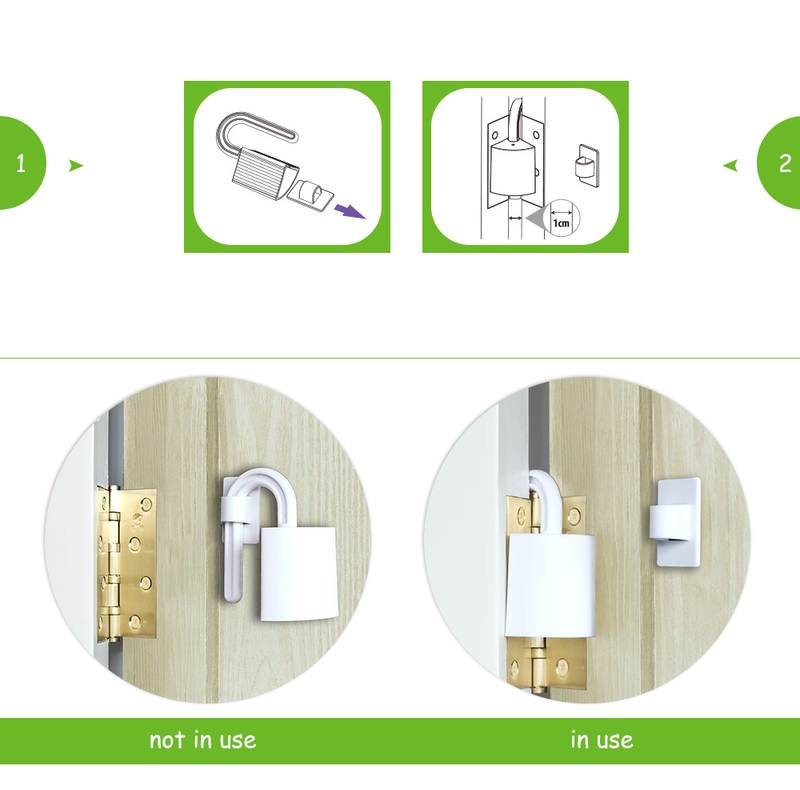 · This product is applied above the door and door frame hinge clearance 1cm.